Microsoft Dynamics world recently had a survey to find out the best CRM blogs, Richard Knudson discusses the top 5 on his blog this week, which you can read about here. Although Richard is talking about it because he is featured at number 4. He certainly deserves to be in the top 5, his blog is consistently excellent, especially considering he is a one man band, where as other blogs featured have a few contributors. I have been using LINQ with CRM 2011 and I have to say it’s awesome. It’s a great way to code without having to write connectors to SQL databases. I used to spend hours and days writing database code when I was a Java programmer, not to mention I am always forgetting how to write complex SQL statements joining tables etc. LINQ is one of the areas that is well covered in the SDK, it has lots of examples and creating the dataContext is a piece of cake. I went about learning LINQ a bit backwards because I got started with LINQ in CRM 2011 by just using the samples and then I have just finished reading a chapter on it for the 70-515 .NET 4 exam. finally to finish off you have the real winner, lots of LINQ Samples. If you are going to click on one link then this is the one to go for because from this you will quickly understand enough to start writing your own LINQ queries. I found learning LINQ one of the easier parts of CRM 2011 and also one of the most beneficial. Provides information about how to create LINQ queries. Learn how to use late-bound entity classes with LINQ. Learn how to use Lookup attributes with LINQ. Learn how to work with multiple entities. Learn how to use the Skip and Take operators to page query results. Learn how to create simple LINQ queries. Learn how to create more complex LINQ queries. Learn how to use retrieve multiple condition operators with LINQ. Learn how to use Skip and Take, orderBy and complex where conditions. Learn how to build LINQ queries that use late bound entities. I caught a link the other day to a sample CRM Developer CV. Although the samples are very general they do give an insight to what recruitment consultants think should be on a CRM developers CV. They are of interest to me not because I am looking for a job but because it gives me an idea of what areas I should be learning. I would say they are focused around CRM 4, so I would imagine CRM 2011 developers would also need to have the .NET 4 skills such as WCF, oData, Linq, Jquery and silverlight would also be beneficial. These are certainly some of the skills I have improved on since I have been developing with CRM 2011. These and the new ones I mentioned above would certainly cover all the knowledge you would need for a CRM developer. These are the core skills it would also be beneficial to have experience in Sharepoint development, particularly as SharePoint 2010 integrates very well with CRM 2011. Design, customization, and implementation of Microsoft CRM 4.0. 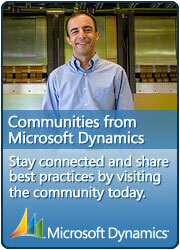 Coordination in Wireless Devices and Outlook CRM Laptop Client. Design and administration of SQL Server Database. Integrations with Great Plains, SharePoint, Scribe, Web Services, and BizTalk. I was interested to see how they described the skills they had picked up at work, quite well written, not a great deal of detail but to the point and this is what employers want, they want a quick tick of your skills and maybe an example. All the CV is really going to do is get you an interview and then at that point you can persuade them why you are perfect for the job. Technical expert provides highly effective CRM application design skills to offer configuration, installation, customization and enhancement of CRM systems for small to mid-size firms. Custom installation and integration of MSCRM Outlook client. Incorporation of accounting systems (e.g., QuickBooks) into Microsoft 3.0 CRM. Design and implementation Microsoft CRM Architecture. Web 2.0 developments with Adobe Flex, Ajax, and SilverLight. Administration and design of SQL Server database. SQL Server 2000-2005, IIS, BizTalk 2006, Oracle,.NET 2.0/3.0, SharePoint 2007. The actual answer was quite obvious after I worked it out. Double-click the top of an open window just below the top edge. To restore a maximized window to its original size, double-click the top of the window again. On the taskbar, press Shift and right-click a taskbar button or a preview of an open window, and then click Maximize. I was having major problems with the debug window. When I was firing up the debug window (by pressing F12), the window was appearing outside of the screen. I think this problem was caused because at work I had an extra screen and then when I was at home I only had the laptop. The problem I had was I couldn’t find any way to maximise the screen to bring it onto the main laptop screen. In the end I found that by pressing the windows key – and then down arrow or up key. You can then press shift to go through the screens until you get the developer debug screen. It took me a while to figure this out but finally thanks to this forum post I did it. I think what was confusing me was you had to get the control and then set the label. The question popped up today and I’m sure I had found another way round this before but I couldn’t remember.